*Edit – A few people have asked where I got the containers with lids. They are from my local supermarket, and are a generic brand. If you are in Australia I think they are from Coles. 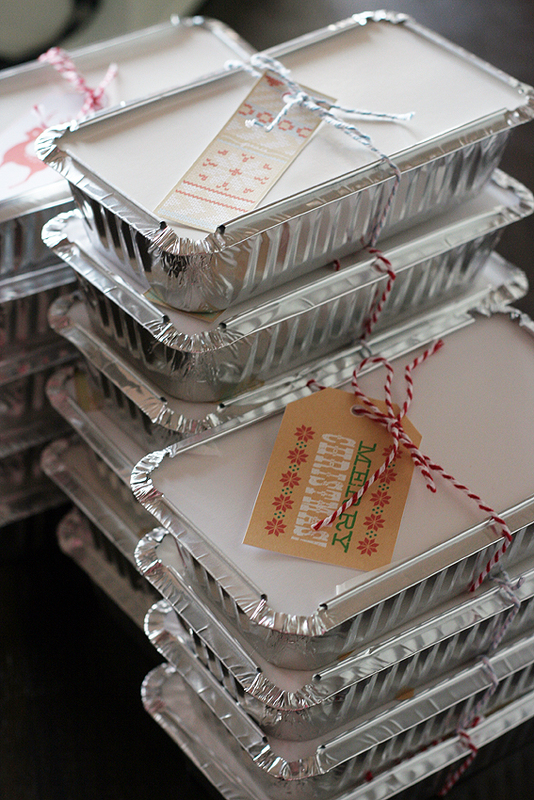 Christmas treats for my co-workers have been baked, packaged and gifted. The out-of-office alert is active on my e-mail account and work is done for 2011. Now it’s time to wrap presents, bake food to share with family and friends and to look towards 2012. I’m looking forward to the new year and the possibilities it brings. I hope you all have a safe and happy holiday season. Christmas lunch is not complete without Christmas crackers. 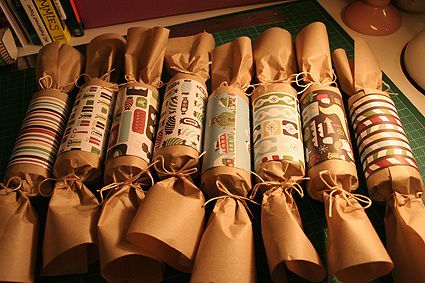 Christmas crackers or bon-bons are an integral part of Christmas celebrations in the United Kingdom, Ireland, Australia, Canada, New Zealand, South Africa and other Commonwealth countries, as well as in countries of the former Soviet Union (where it is called “хлопушка”). 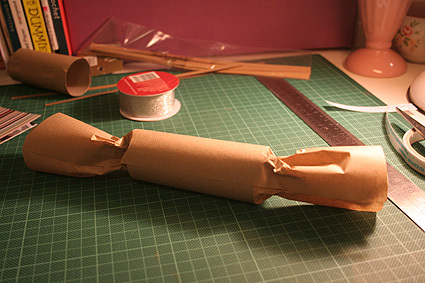 A cracker consists of a cardboard tube wrapped in a brightly decorated twist of paper, making it resemble an oversized sweet-wrapper. The cracker is pulled by two people, and, much in the manner of a wishbone, the cracker splits unevenly. The split is accompanied by a small bang produced by the effect of friction on a chemically impregnated card strip (similar to that used in a cap gun). 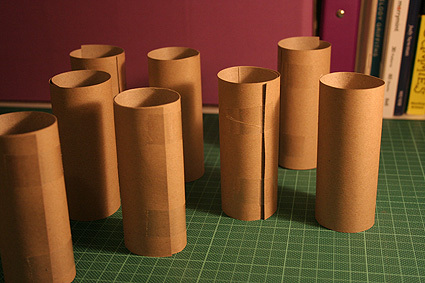 In one version of the tradition, the person with the larger portion of cracker empties the contents from the tube and keeps them. In another, each person will have their own cracker and will keep its contents regardless of whose end they were in. 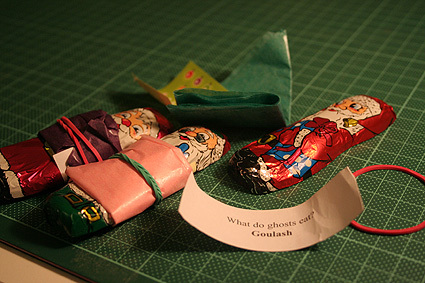 Typically these contents are a coloured paper hat or crown; a small toy or other trinket and a motto, joke or piece of trivia on a small strip of paper. 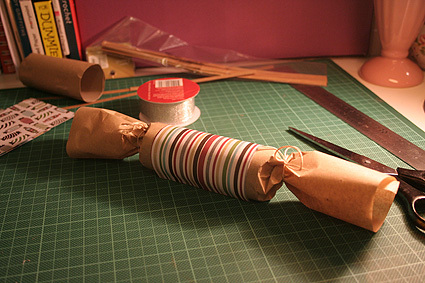 Crackers are often pulled before or after Christmas dinners or at parties. 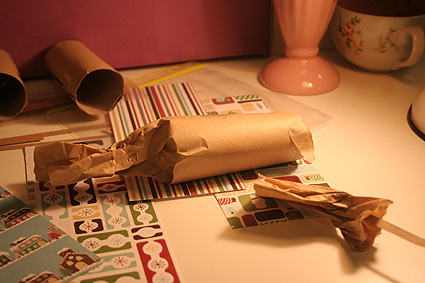 For my crackers, I made rolls from the cardboard found inside Christmas wrapping paper. The “snaps” came from Lincraft for about $3 for a packet of 12. I bought a very cheap set of crackers to pull out the hat and jokes. I added Santa chocolates to each hat and joke. If I’d had more time, I would have made hats. 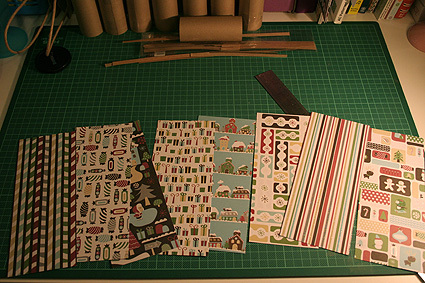 I picked up this gorgeous paper from Michaels in the US. It was 40% off after Thanksgiving. Always test your materials! 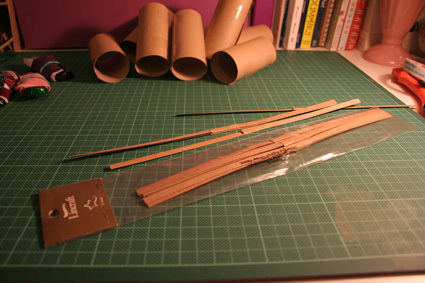 One layer of brown paper worked, two layers did not. I used a little sticky tape to hold the snaps inside the cracker. 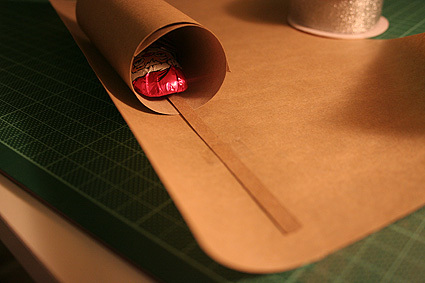 Roll it up and fix with some double-sided tape. 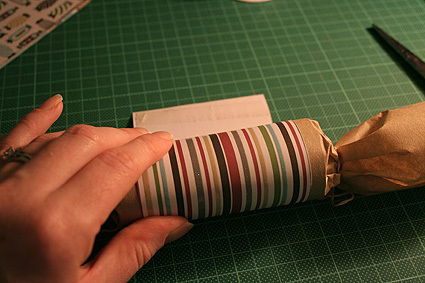 Decorate the outside of the cracker in any way you please. Finish off with some ribbon or thread, perhaps. Voilà! Make enough for everyone and then a few extra, because you never know who might turn up at the last minute! This was a gift for one of my oldest and dearest friends Elise. We have been friends since she was two she will tell you! 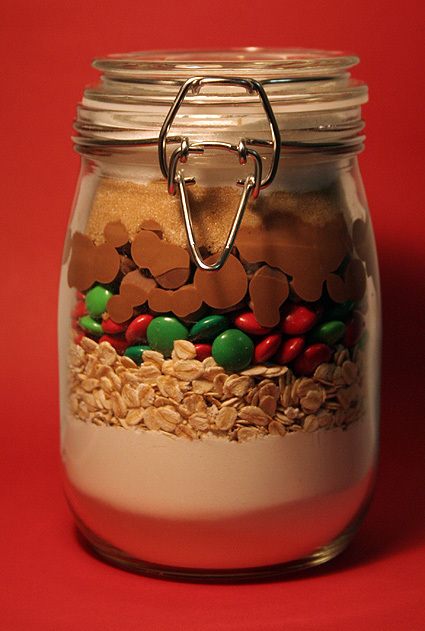 It’s a jar with all the dry ingredients for a batch of cookies. She will add butter, 1 egg and vanilla and bake them for about 8 minutes. The idea came from the talented and creative Bakerella. I got the M&Ms in the US, it seems there are no Christmas-themed M&Ms in Australia this year. The jars are from Ikea. I baked a couple of batches of the cookies myself and they are indeed good. Not quite as good as kitchen sink cookies, but pretty close. 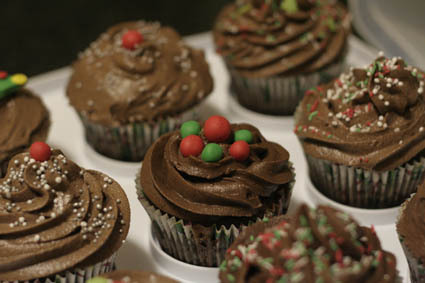 Happy baking and Merry Christmas Elise! Attempt One: Opps, messed up the order of the ingredients. 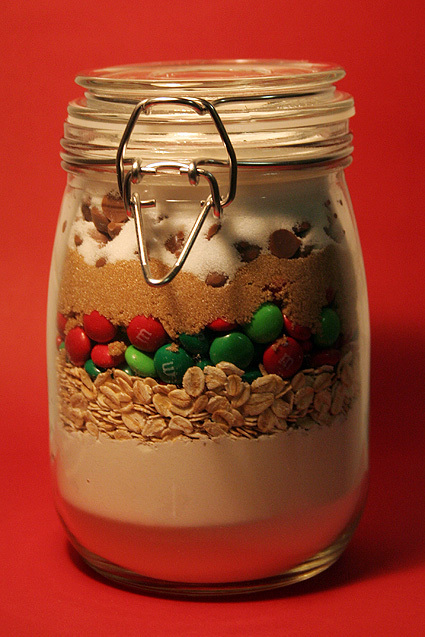 Attempt two: The jar was still hot from washing and melted the choc chips. Attempt three: Didn’t happen as the third jar was missing a seal. Attempt four: Bingo! Well, not perfect, but looks good. Instructions and a handwritten tag on the back. Santa also brought a new tip for my piping bag. The No. 2110 (1M) is the attachment you need to create great big swirls of icing to pile on top of your cupcakes. It usually requires a large coupler (the plastic part to attach the tip to the bag), however, you could probably get away with not using one — just slide the tip into your bag. Here is a good explanation of how to make swirls with your No. 2110. For Wilton products in Sydney, try The Essential Ingredient in Crows Nest, Peters of Kensington in Kensington or eBay. Unfortunately, Wilton’s online store does not ship internationally. 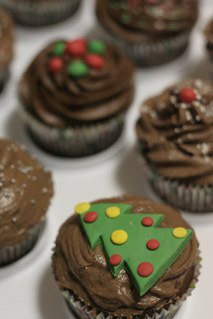 This recipe is from Coles’ free Christmas magazine. The magazine is available in Coles supermarkets and also on the Coles website. 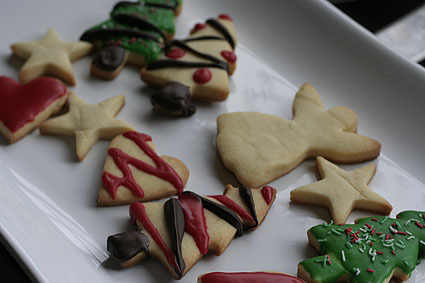 The cookies are very plain, allowing you to decorate them as you please. The recipe can be used to make cookies of any shape; it’s also a good one for kids to make and enjoy. Next time, I will use Donna Hay for cookies instead of this recipe. 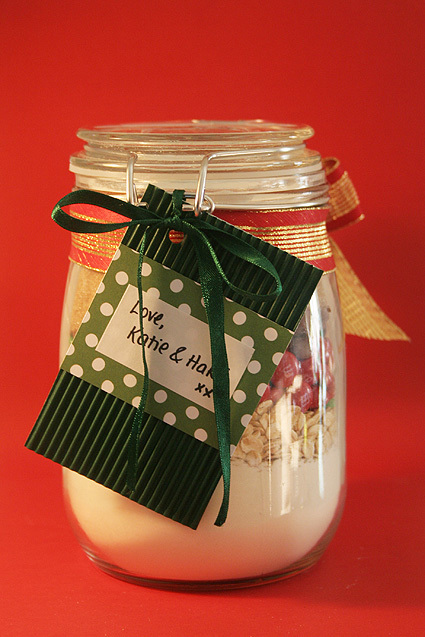 The Donna Hay’s mixture is more like shortbread and sweeter tasting. 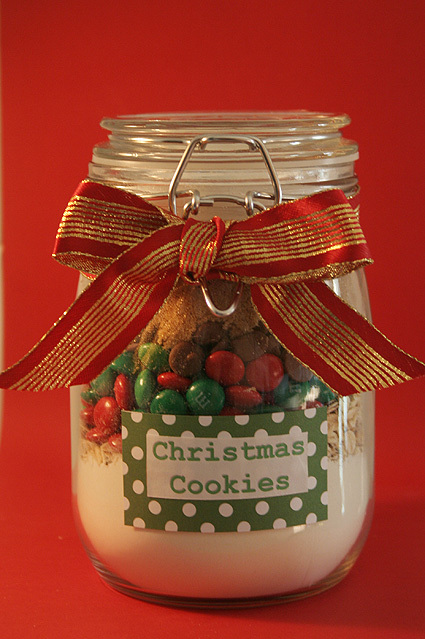 I will use it for another batch of Christmas cookies closer to Christmas day. I do not own a food processor, so I used my electric beaters. They will work as long as the butter is soft. Be careful with the cooking time on these. You don’t want them golden brown on top, only underneath. 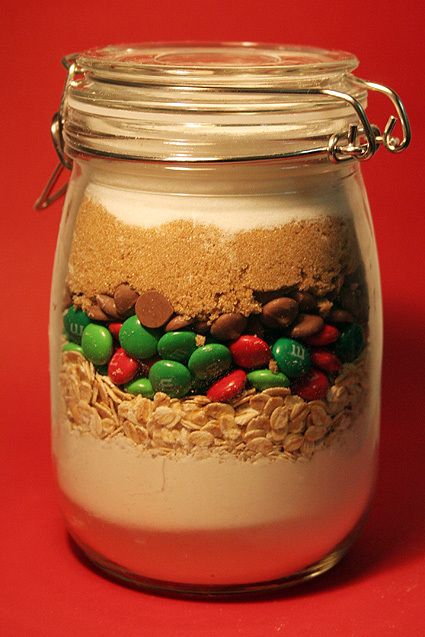 I found 8-10 minutes was enough time, but this will depend on the size and thickness of your cookies. 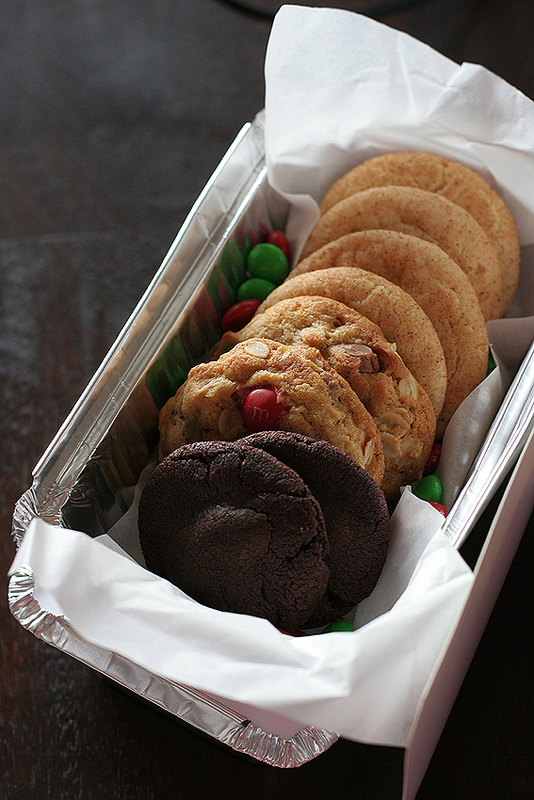 Cook small cookies on a separate tray to large ones, so each can be cooked for the appropriate time. The topping on my cookies is melted chocolate and icing. Melt chocolate and drizzle over the top of cookies any way you like. 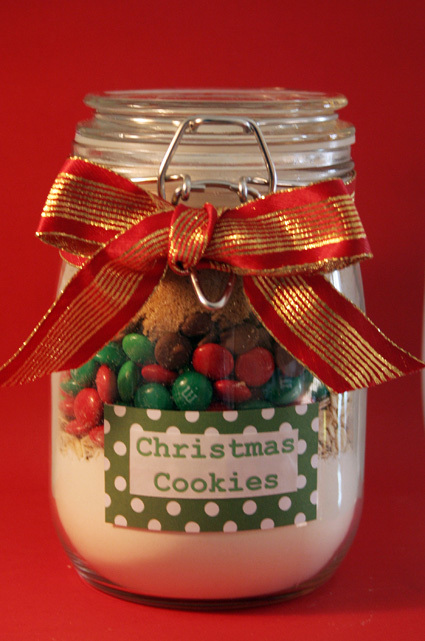 Or dip the cookies in icing (icing sugar mixed with food colouring and a tablespoon or two of hot water) and then decorate with sprinkles, M&Ms or cachous. 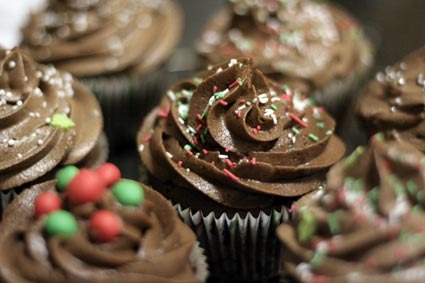 The icing needs to be thick, so add the food colouring to the icing sugar before adding water. Then add the water gradually, while stirring. Preheat oven to 180 degrees Celsius or 160 degrees Celsius for a fan-forced oven. Line baking trays with baking powder. Place flour, icing mixture and butter into a food processor. Process in short bursts until mixture resembles breadcrumbs. Add 2 tablespoons cold water and process until mixture forms small, moist clumps. Turn out onto non-stick baking paper or a floured surface and gather the dough into a ball. Roll out mixture until 1cm thick. Cut out shapes using cookie cutters. Place onto trays, bake for 8-12 minutes, until cookies are golden brown underneath but still pale on top. Cool in wire rack. Sift pure icing sugar into a bowl. Add food colouring and stir. Add up to 2 1/2 tablespoons of hot water and stir until smooth. Icing should be thick enough to cling to cookies. 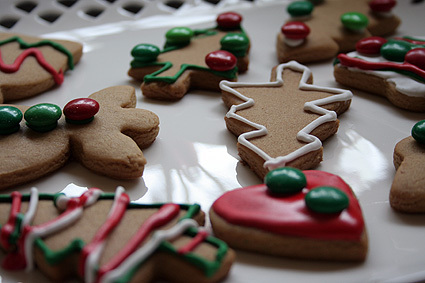 Decorate cookies by dipping them into icing and sprinkling decorations on top. Leave to set.